Halifax was diagnosed with clinical features of Nephrotic Syndrome when he was a five years old boy. Then, he was unable to pass urine and as a result, his whole body would swell up and he was then placed on steroids and alkylating agents. 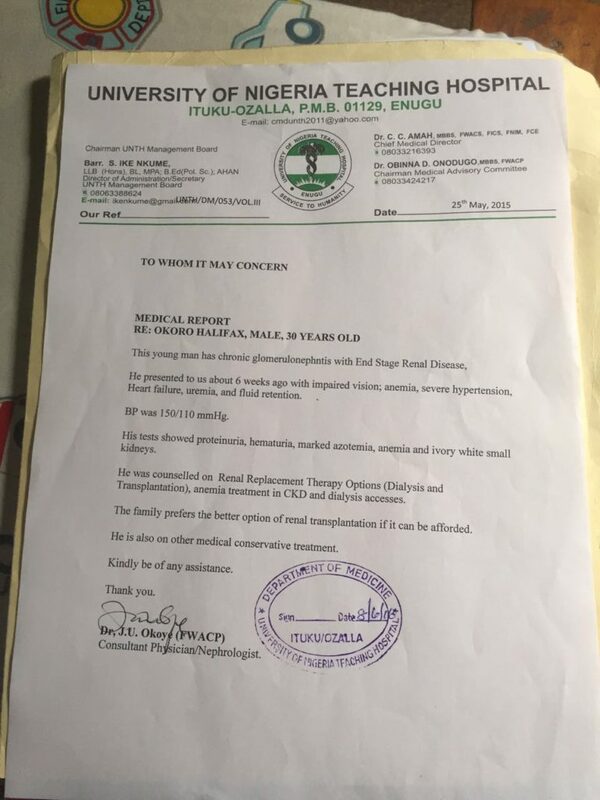 Halifax Okoro had many remissions and relapses while on these drugs, becoming dependent on the steroids. When he turned 20 years old, all symptoms of the disease had disappeared, until three months ago when he started noticing a metallic odor coming from his breath. He then went to his doctor and it was discovered that his kidney is not functioning well. He needs to be doing dialysis every six hours, daily or as the alternative, receive a kidney transplant and that the option we have chosen. His health has been slowly deteriorating the past three months. 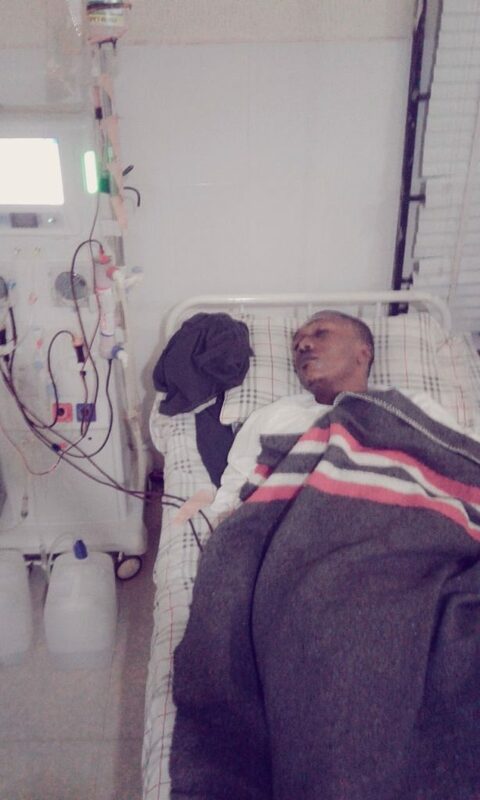 He has been diagnosed with Near End Stage Renal Disease, (ESRD). In March he started on dialysis. 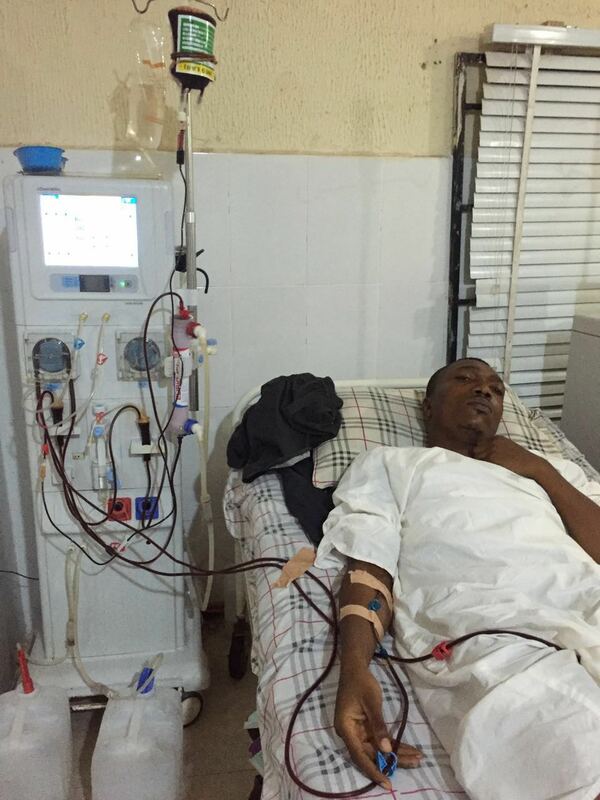 He will remain on dialysis three times a week until he is ready for a kidney transplant.